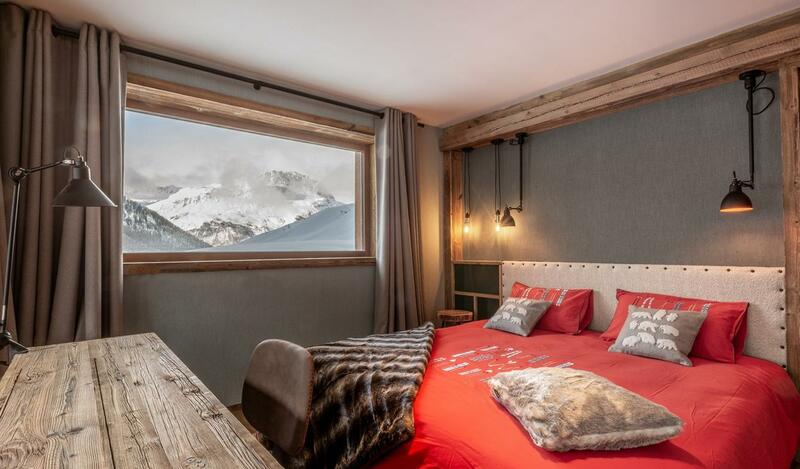 In a small hamlet with direct access and return from the slopes, this new chalet built in 2017 is about 400 sqm to be tailored to your needs, offering the highest standard of services. It could be composed of 5 spacious bedrooms with en-suite bathrooms, a comfortable ski-room, a unique wellness area offering a swimming pool with jacuzzi, a sauna, massage room, a game room, and a cinema room. The living room with high cathedral ceilings is about 60 sq.m. with central fireplace, open kicthen and dining area.